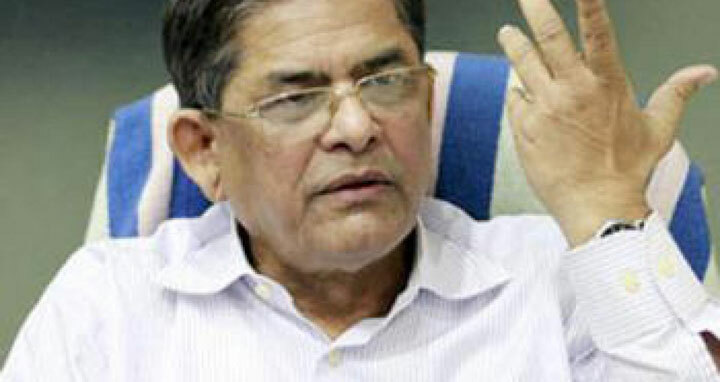 Dhaka, 29 Mar, Abnews: Bangladesh Nationalist Party (BNP) secretary general Mirza Fakhrul Islam Alamgir could not visit jailed party chairperson Khaleda Zia as she was ill.
Shairul Kabir Khan, an officer of the BNP chair's press wing disclosed this on Thursday quoting Fakhrul. Fakhrul was supposed to meet the former prime minister at 3:00pm, Shairul added. On Wednesday, a lawyer of the Anti-Corruption Commission said the BNP chair could not be produced before the court in Zia Charitable Trust for unavoidable reasons. A Comilla court then served a show cause notice on the Dhaka jail authorities regarding Khaleda's failure to appear before the court.